ANTALYA, Turkey (Feb 8, 2019) – World Taekwondo President Chungwon Choue has stressed the importance of new education and development programs for the sport worldwide. 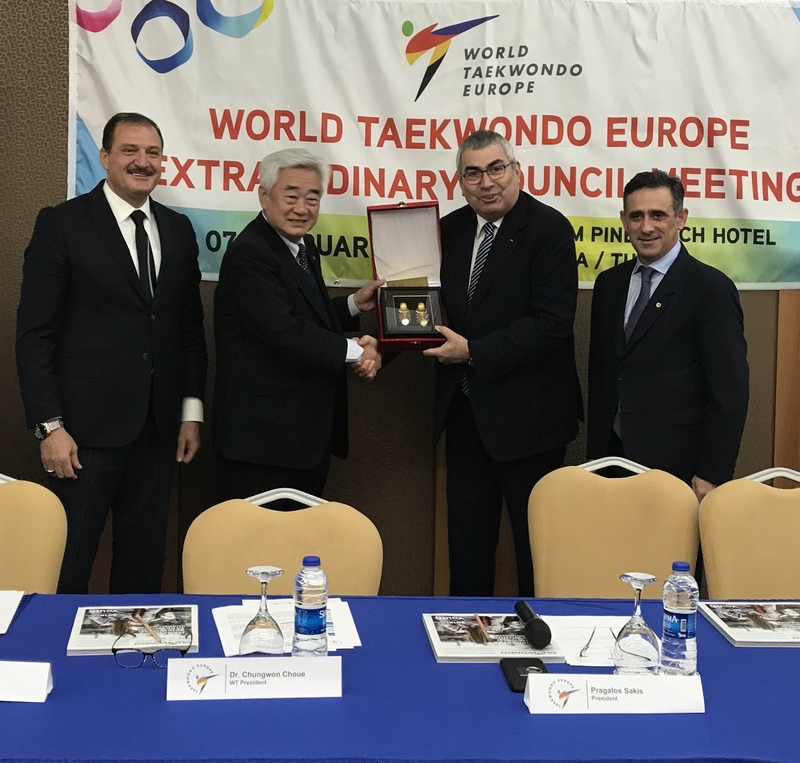 Choue spoke at the WTE Extraordinary Council meeting that took place on Feb. 7 on the sidelines of the Antalya 2019 World Para Taekwondo Championships, with the aim of upgrading understanding between WT and the World Taekwondo Europe (WTE). IOC Vice President Dr. Ugur Erdener from Turkey attended the meeting. After reviewing 2018, the WT leader discussed 2019. 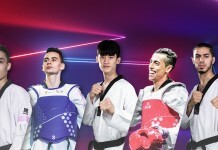 The big event of the year is the World Taekwondo Championships to be held in Manchester, Great Britain, in May. IOC President Thomas Bach has confirmed his attendance, following his visit to the last world championships in Muju, Korea, in 2017. The main theme for 2019 will be “Development” – that is building capacities of members through education and support. Noting the failure of past WT education and development programs, Choue said that all related programs will be upgraded, with online courses replacing offline courses in order to obviate travel times and expenses. Related initiatives include national level education courses to help grow the grass-root level, while the best referees for Tokyo Olympic Games will organize joint training camps with coaches. The newly opened Wuxi Center in China will serve as a hub for taekwondo education. On the humanitarian front, Choue said WT will build two more academies for refugees in Rwanda and Djibouti. Meanwhile, the Taekwondo Cares program will reach out to homeless children and will try to empower women all over the world, particularly in Islamic regions. With the IOC showing an interest in esports, Choue noted that WT is moving forward in this area, and has already demonstrated some developments to the IOC. A demonstration of related technologies is expected to take place during the Manchester World Championships. 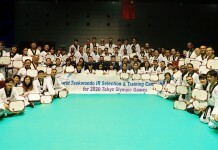 As 2019 marks the 25th anniversary of the IOC’s inclusion of Taekwondo in the Olympic program, a joint demonstration between WT and the International Taekwondo Federation will take place in Lausanne on April 11 and UN in Geneva on April 12.